Note: This is a sponsored post, but all the statements are my own. If you rather read about my style or my life, check out the previous post or come back tomorrow. ♥ Thank you! So the other day, I was contacted by the lovely people from Anjolee, and they asked if I would do a collaboration with them. I have seen their pieces in different posts around the blogosphere, so I gladly took the chance to know more about them. Anjolee offers classy, timeless jewelry, that, in my opinion, could be worn i any occasion. You can play around with the designs on their site, and choose your favourite from the cute options available. You're able to choose metal type, carat weight of the metal, diamond quality, and the size of the piece, so it's definitely customer-friendly. My wallet couldn't exactly afford their pieces at the moment, but I will definitely check on them once I get a hold of a full-time job. ;) That's not to say their prices would be super high - because their materials are the real deal - but I'm not exactly rich at the moment, hehe. Classic, but edgy. You know I like that, right? And look at those diamonds, they're gorgeous! 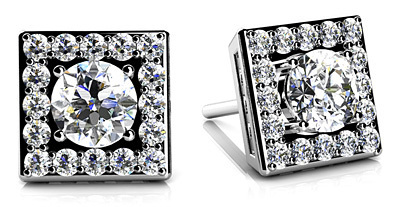 I really like the design, because these don't look like your typical pair of diamond studs. Instead, they have this glamorous edge to them. I love how you can choose the color of the stone in the center from six different options. There's gorgeous stones like topaz and amethyst, which I think look amazing with the yellow gold. I could see these ones with any bright Summer look, as the gold really fits in to any Summer style. This must be the most beautiful diamond ring I've seen in a while. I would happily except that ring from my beloved man - as a wedding ring, maybe? 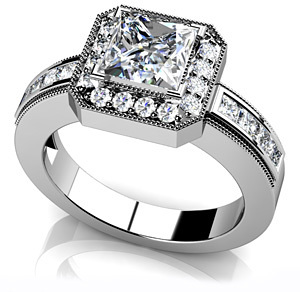 ;) This ring really has a princess feeling to it, doesn't it? I love it. Another very stylish piece, and I chose it in gold here, because it looks quite stunning. I've only recently found a real affection to gold jewelry and accessories, and quite frankly, I don't even know why I haven't liked the metal before. 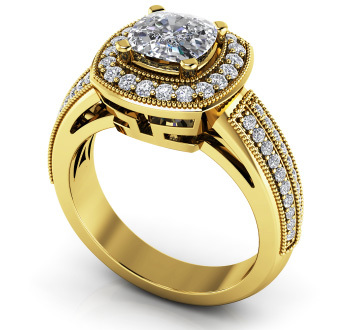 Just look at this ring, if you can say no to gold, looking at this, then you just really don't like gold. Even though the two categories mentioned above are gorgeous as they are, there's something that I loved just a bit more. Can anyone guess what that would be? I don't know if it's because of the Nomination trend that has been going on - at least here in Finland, it has been a trend - or what, but this little cutie caught my attention immediately. 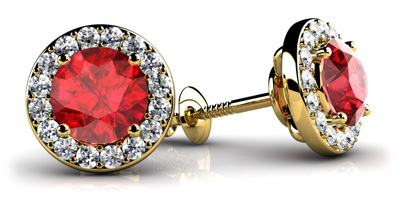 It has a lovely edgy shape, but it's still very, very classy, so it's a perfect piece in my opinion. This one looks a lot like a chain, but it's not. There's just a lot of rings. And I think it's so cool. :) I could see this piece easily with many, many outfits, from casual demin short ensembles to cocktail dresses. I will definitely check this one out again once I have some extra cash. You know how I love things that have something different about them? Well, this Z Link Bracelet sure has that something. I love the idea of using Z shapes and filling the gaps with diamonds. It's just so gorgeous. This was just so classic I couldn't leave it out. The simple design that centers just around the shiny diamonds is a safe way to make a bracelet like this. You just can't go wrong with it. And like the name says, this one truly is timeless. Are you already familiar with Anjolee products? If you are, do you have favourites among the lovely pieces they have? Share your thoughts with me. I know some of you might find sponsored posts annoying, and I truly understand. But I just want to make it clear that I wouldn't praise a company/product I didn't really believe in. Anjolee is a brand I was already interested in, so that's why I chose to do this post. 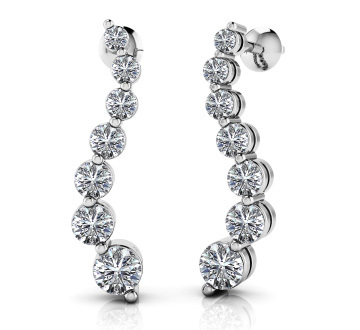 And I honestly recommend you to see out their products yourself, if you love diamond jewelry. I hope you'll all have a fantastic start to your weekend! Visit and if you want to.. Follow me! That it is :) That's the beauty of them. Diamonds really are a girls best friend. Looks like they've got some great pieces. I love all those tennis bracelets. A lovely GEMSTONE DIAMOND is so beautiful and cool that nobody could be forgot it. I can't believe these are handmade! these are awesome. i really like them. 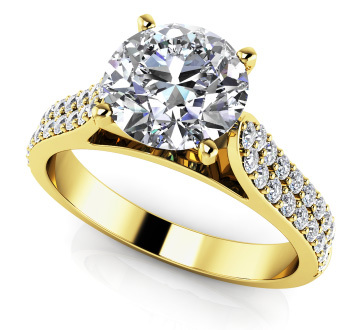 In diamond jewelry i always prefer Cartier Diamond Jewelry they are also handmade.